Challenging High School Students: Which is Better – AP or the IB? Personalized, student-centred learning is the centerpiece of the B.C. Ministry of Education’s new plan to enrich student learning through “individualization” aimed at providing high quality teaching and learning, more flexibility and choice, and fuller utilization of the power of technology. Enriched high school programs like The Challenge Program at Vancouver’s Eric Hamber Secondary School seek to build upon previous gifted education programs in innovative ways. A recent school visit on October 25, as part of an International Dialogue study group, revealed that this program is “giving a home” to students labelled as “gifted” but remains very much a work -in-progress. The Eric Hamber “Challenge Program,” while well-intentioned, is now somewhat unique because most Canadian school systems have tended to utilize ac celerated academic programs, such as International Baccalaureate (IB) and Advanced Placement (AP), to achieve those purposes. Indeed, the steady growth of these two competing programs has supplanted many “gifted student” programs in high schools across Canada as in the United States. It also begs the fundamental question – which of the two programs provides a better challenge for academically-able high school students? Surveying academic public high schools in the United States, the dominance of the IB and AP is abundantly clear. Choosing sides in the AP vs. IB debate sparks fierce debate in influential newspapers and magazines, like The Washington Post and US News and World Report and in the family homes of university-bound high school students in virtually every city and most towns of any size. Advanced Placement Canada, based in Victoria, BC, holds sway in B.C. and Ontario and is now offered in 587 schools in every province and territory, except Nunavut. The International Baccalaureate now claims to have enlisted 320 IB World Schools, but only 147 offer the senior IB Diploma Program. University bound students and their parents are plied with the allure of gaining an advantage in seeking university admission and securing advanced standing in a few subjects. In a province like Nova Scotia, the IB has, since 2007, been sanctioned as the “official” high school enrichment program. Today, some 16 high schools are IB Diploma Program Schools, representing over 10 per cent of the Canadian total and the jurisdiction with the highest concentration of such programs in North America. Both the AP and the IB were proliferating because were meeting the demand for programs of “academic excellence” and filling a void in state school systems. “Students,” in Finn’s words,” are also expected to make sense of complex, and sometimes contradictory, materials; to write and defend their opinions about these materials intelligently; and to apply their knowledge in creative and productive ways. These are the skills that will serve them well in later years….” In that comparative analysis, the IB program came out slightly ahead, based upon a critical review of AP and IB courses in four subjects, English, mathematics, biology, and history. There was considerable dispute over the Fordham report’s assessment of Mathematics courses too heavily dependent upon technological tools like graphing calculators. Advanced Placement courses once were totally dominant in the United States, a nation with some 22,000 high schools. First introduced in 1955, by 2006, over one million U.S. students took over 2 million AP examinations, including over 346,000(2008) in the most popular course, United States History. In Canada, by 2007, 491 high schools were offering 19,274 examinations in every province except P.E.I. AS of 2010, some 28.3 per cent of American high school students took an AP exam and 32.6 per cent of public high schools offered AP courses in the four core subject areas – English, mathematics, science and social studies. 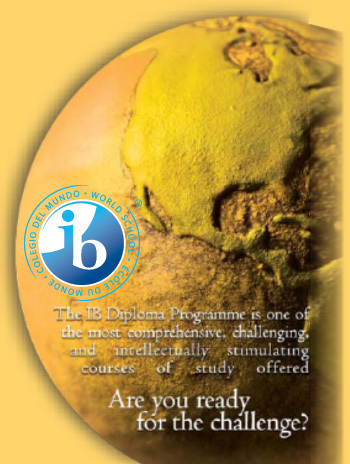 More recently, the IB is gaining ground, to the point where more than 778 American schools offer the IB Diploma Program. Which is better at engaging students in academic challenges and at promoting critical thinking? Most objective observers tend to give the edge to the IB because it is a fully-developed program encompassing academic athletic, cultural, and social development components. Seasoned education observer Jay Mathews of The Washington Post contends that “both programs are top notch.” When pressed to choose one over the other, he gave a slight edge to the IB. Why? In his words, “because the exams demand more writing, having no multiple choice exams as the AP exams do, and because the IB program includes a 4,000 word essay requirement that the AP lacks.” He noted, however, that in the United States, it was still easier to get college credits for AP exam scores because universities have been slower to accord recognition to the IB exam-based course results. After helping to introduce the IB at Upper Canada College in 1997 and heading both a leading Canadian AP school and a leading IB school, I would also rate the IB as superior in terms of promoting deeper learning and student engagement. The IB focus on providing a full, well-rounded program gives it the decided edge and makes t5he AP look like just a mix and match menu of accelerated courses. The additional IB components, namely the Extended Essay, the Theory-of-Knowledge course, and Creativity-Action-Service (CAS), set it apart as a pretty thorough challenge for high school students. The IB requirement to conduct a 4,000 word Extended Essay (based upon original research) means, in many cases, students have to range far beyond high schools to find the latest research. Creating Challenge programs for “gifted students” and diverting increasingly rationed resources might well be questioned when one of the two best known academic enrichment programs offers such scope for pursuing academic excellence and exploring passionate interests outside the classroom. Which of the two academic enrichment programs is best – AP or the IB? Do either of them provide enough scope for “personalized learning,” or for fostering curiosity and promoting creativity in students? That remains an open question. Smart Kids: Why Do Schools Stigmatize “Gifted Children”? Being smart has never been easy, especially in the modern world of public education. Since the Soviet Sputnik ratcheted- up the Cold War in the 1950s, school systems have attempted to respond with school programs for “gifted children” supposedly aimed at re-asserting North American brain power. After 1958, bright kids were suddenly identified as “gifted” and hothoused in special segregated classes. Yet, since that time, bright kids, by whatever name – “egghead,” “browner,” or “nerd”” – have not been very well served by public education. The recent Toronto Globe and Mail series on “The Gifted Child”(November 11-18) may have been a laudable effort, but it will, regrettably, do little to change that reality. In one article after another, the ably written and well researched stories do little more than reinforce existing stereotypes about gifted and academically-able children. The whole series approached the critical public issue from inside the system –from the inside out – when what we needed was a broader, more comprehensive look at how academically-motivated students are actually served in public education. The standard, “one-size-fits-all” philosophy of public education has always troubled me. Even though I am one of the system’s products, I always harboured suspicions. Students with ideas of their own, an independent streak, or serious personal needs never seemed to fare well. While researching my recent book, The Grammar School (2009)), I made a rather startling discovery. Public schools were really designed for – and serve reasonably well – society’s comfortable middle class and serve to mask what historian Michael B. Katz long ago identified as the class realities underlying the rise of the modern bureaucratic education state. Founders of the Halifax Grammar School like Dalhousie University professor Dr. Gordin Kaplan were incredibly perceptive. A long- forgotten and often dismissed education critic, Hilda Neatby, author of So Little for the Mind (1953), was right all along. Above average and academically able students posed a challenge to “mediocrity” in public education. In an emerging system dedicated to equality of outcomes, ‘outliers’ could not be easily digested. That, in a real sense, is why Canada’s leading independent schools continue to not only exist, but to flourish under the radar of public education. What have we learned about “gifted education” after more than fifty years? Ambitious, upwardly-mobile hyper-parents strive to prove that their children are “gifted.” Being identified as a “gifted child” is a curse as well as a blessing. Gifted education is considered “elitist” and fraught with controversy. And challenging gifted kids in school is actually hard work. The Globe Life polls on Gifted Education ( Nov. 11 and Nov. 15, 2010) were totally contradictory. After a story on the social costs to kids of “Gifted” programs, some 56% of the 2,284 respondents opposed “segregation” of gifted kids. Yet, if given the option, most parents would put their kids in such programs anyway. When asked “Would you put your child in a gifted program?,” some 73% of the 765 respondents replied in the affirmative. Where do these revelations leave us? No further ahead because they merely confirm popular notions that “gifted children” are “exceptionalities” who inhabit their own world in public education. Stepping back with a wider lens, highly motivated, academically inclined students look a lot different. Seeking more from your local public school and demanding better can be difficult –and can be easily dismissed as reflecting the “elitist” attitude of the privileged classes. If you live in Toronto’s Forest Hill or the Allenby School district, Montreal’s Westmount, Vancouver’s Kerrisdale, or Halifax’s South End, school options do exist. For ordinary families with academically able children in the inner city or small town Canada, the everyday reality is bored kids seeking outside outlets for their creative or higher intellectual pursuits. America’s radical education critics such as John Taylor Gatto are over-the-top in their indictments of public education. Gatto’s bestselling book Dumbing Us Down (1992) and his more incendiary Weapons of Mass Instruction (2009) are designed more to shake up the system than to produce implementable reform. But the underlying message is crystal clear: public schools have become agents of compulsory schooling strangely akin to sausage “factories” for both students and teachers. With over 70 per cent of today’s students in English-speaking Canada virtually guaranteed a high school diploma, secondary school education now performs a radically different function. Producing critically aware, fully educated citizens takes secondary place to inculcating employability skills leavened with social justice values.